Hannah Wants spoke candidly with Skiddle’s Marko Kutlesa about completing a grueling detox programme, the future of Birmingham’s club scene and her change of sound. 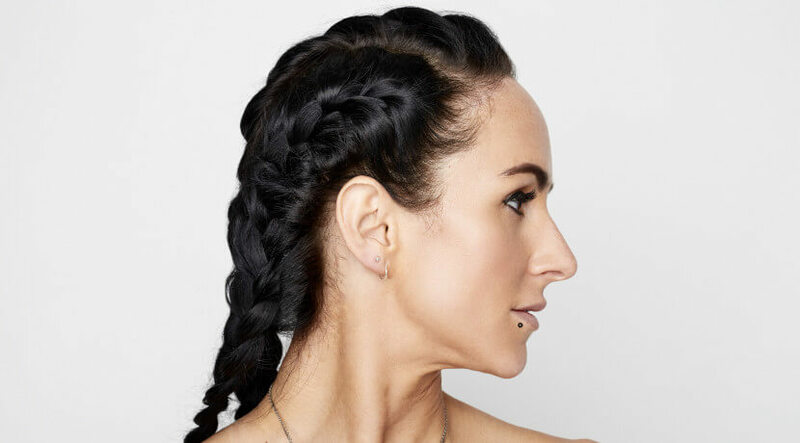 Having just been voted Best DJ at DJ Mag’s Best Of British awards, Hannah Wants‘ achievements as a DJ have, in just a decade and a half, surpassed even her first career as a professional footballer. But the effort she’s applied in order to achieve such has not come without a cost. Her determination and strong work ethic, which she has applied to music production, DJing, business and a DJ competition, took a toll on her health which culminated in Hannah taking a break from the scene for a period in 2017. However, with the turn of 2018, Hannah Wants is back and is about to embark upon her most ambitious year of music releases to date. Prior to her doing so, and before her PLAY Tour calls at various clubs in the UK, Marko Kutlesa caught up with Hannah to ask about her recuperation, her new releases and her What Hannah Wants competition. You said that you recently completed a 21 day Ayurvedic Panchakarma programme. Can you tell us a bit about the experience and what you’ve learnt from it? Yeah. So, last year I had to go to hospital and ended up having to take a look at how I was living, my health, my work life balance. I did some research and found this detox programme. I completed my summer schedule and then took the first flight over to the Maldives to do it. It was very intense. I went alone so I was on my own for two of the three weeks, before my girlfriend came out. The first week was the hardest. The idea is to cleanse your body and get rid of lots of toxins, so you drink a medicated ghee for the first week. I’ve never tasted anything so disgusting. For the first couple of days the doses are quite small, but then it doubles daily. The theory behind it is that this ghee reaches every cell in your body and then you expel the toxins, which have been lying in fat for many years, through your digestive system. Come day four of five I couldn’t move. I’ve never had that little energy, it took it all out of you. It was intense, the hardest experience, but also amazing after the first six days. After that, you started to get your strength back and you could eat a bit more. After that came the more enjoyable parts; daily treatments, massage, yoga, meditation. I’d say it was life changing. I started to see things differently and I’ll certainly be living differently, with a much healthier balance, in the future. If I look back at my career, how I’ve lived life, work has come before everything. Now I’ve learned that health should come before everything. It was an interesting year, an amazing experience and I’d love to go back and do it again, as soon as I get rid of the memory of what that ghee tasted like, ha! Having cleaned all those toxins from your body have you now changed your diet so that you’re not immediately replacing them? Yeah. My diet changed after I came out of hospital in March last year. I juice every morning, a lemon first with alkaline water, then a green juice. I’ve got two powders, one a food powder, one a hemp protein powder and I drink them. That’s my breakfast every day. Before I went to hospital I thought I was healthy. If I went to McDonalds I would only ever have the chicken selection, skip the drink and the fries. I’m on the road a lot and so that, to me, was just having a bit of chicken. But there’s no nutritional value in it. I thought I was doing good. I now eat one organic chicken portion a week, one fish portion a week and the rest is vegetables. I’ve had some new recipes to learn and I’ve got a long way to go, but I’m enjoying it and the difference… I’ve not even had so much as a cold since I’ve changed my diet. And this is just the beginning of the journey. Will having this new health regime mean you’ll be restructuring your work calendar in order to fit in with the change in lifestyle? Yeah. Previously I would have had no problem popping off to do ten gigs in ten days. That was just standard. That would often result in no sleep for several days or extremely little. Sleep is one of the most important things we need to heal and restore after a day’s work. So, now I won’t do any more than three gigs in a row, having a day to recover before I do any more. That’s a pretty massive thing, never thought I could do that because I’m very work orientated. Now I know that I need that day off to recuperate. It’s not good form to ask, because few people want to hear about the trails of DJs living in hotels, airports and on planes, but as it pertains specifically to what we’re talking about, one aspect of DJ life and how it affects sleep is you might not be finishing until 6am, 7am and then be expected to check out of a hotel at 11am or even 1pm on a late check out. Yeah, I know what you mean. I had the same problem at my residency last year. I’d not be finishing until 6am or 7am and by the time you’ve come out of the club and settled down it’s 8am or 9am and then they’d want you out of the hotel at 1pm. So, I have to cost an extra day at the hotel just to make sure and then make my way home. Your first UK residency was at Rainbow Warehouse. Last year the future of the Rainbow Venues was thrown into doubt. When that happened at London’s Fabric there was a huge campaign to save the venue. Not so much widespread outrage seems to have emerged in defence of these integral Birmingham venues. Why do you think that is? How important to the nightlife of Birmingham and the area in which they are situated do you think the Rainbow venues are? I’m not really sure why there’s not been as much outcry since The Rainbow have had their license revoked. I haven’t seen what has and hasn’t been posted, I just speak to Tom Shorterz who’s a promoter there and I’m just glad they’re going to appeal the decision, because originally they weren’t going to. It’s only through the support of the DJs who play there and the ravers who go there that they’ve decided to take on the council and appeal it. I’ve actually just been in Birmingham, recording a little video for them, they’ve got quite a few people involved in that, including some drug services people. I would hope with the support and backing that they’ve got they can replicate what Fabric did in London. It’s extremely important. The Rainbow is one of the most iconic venues in the UK, not just Birmingham. It’s up there with The Warehouse Project. It’s awesome. There are just not that many places that are up there, on that level. It’s the place to go if you live in the Midlands and I wish them all the best. If Fabric can do it because of the people, I believe that Birmingham can. Do you think there are any specific traits you’ve brought from your time spent as a sportswoman to your approach to being a DJ? I think so. My commitment to anything I’ve done in life has always been extreme. If I want something, I work hard at it. That’s certainly what I did in football, I trained hard and I played hard. No matter what it is, I work hard, so definitely. When I put my mind to something, I’m in it 100%. You played for both Aston Villa and Leicester. Where do your allegiances lie now as a spectator? This is going to be a boring answer, sorry. I don’t actually support any football team. I don’t have the time to watch it any more. When I was a kid I was a massive Man United fan and, if anything, I would’ve been more Birmingham than Aston Villa, but I don’t support any club at the moment. You’re releasing an EP on Simma Black early in this new year. What can we expect from that and other studio productions that will be coming next year? This year is going to be my biggest to date in terms of studio productions. I think it’s fair to say it’s taken me two years to find my sound as a solo artist. That’s one of the reasons there was only one EP last year. I’m so excited for the music to come out this year. The Simma Black one is coming out in February and it’s called ‘Girls & Boys’. I’m releasing one called ‘Bamboozle’ on my own label and that will come in March. I’ve hopefully got a two track EP coming out in April, which I’ve just finished yesterday. I can’t wait to try them in a club. Then, in May, I’ve got a track featuring Kate Loveridge. I used to go to school with her and she’s an incredible talent, an amazing vocalist. She’s also written the lyrics for that one. This kind of style is something that I haven’t put out before. My music’s made for peak time at a club, but this is more of a summer radio song. I usually go to Australia and America in January and February to get away from the winter over here, but I’ve cancelled that this year in order to focus on the studio where I’m hibernating. What specifically inspired your gradual transition to more house based sounds? I don’t think anything has inspired me. Four years ago I was playing more bass heavy tracks, but I think that bass sound separated into two roads. One side went really bass heavy, your My Nu Lengs, Flava D, TQD stuff and then it also split off and went down the tech house route. I think I’m still somewhere in the middle. The stuff from the heavier bassline scene I love listening to, but for me it’s too heavy to play and some of the tech house stuff is too light. I’m still very bass influenced, but I am leaning now more towards a house and tech house sound. In regards to your admirable What Hannah Wants DJ competition; What do you look for when judging peoples submissions? I look for a few things. I like to see how they come across in the initial e mail, manners, how they’ve addressed it. You wouldn’t believe the way some people write! Some people write iz for is, ha! I want to see people come across as professional. In the mix I’m looking for good tune selection, good mixing, is it tight? The first 30 minutes I’m looking to see what they’d play in a warm up environment, the second 30 minutes I want them to show their sound. I go through it all and try to get a vibe and then try to follow that. Making a great DJ mix in your bedroom to submit for judgement is a different experience to getting up on stage in front of hundreds of dancers. How do you know your chosen DJs are going to be able to read a crowd and cut it in the live arena? I don’t. That’s the thing. That’s the risk that I’m taking with the competition. So far that hasn’t happened and the competition’s been running two years. Some of the DJs have really excelled, others less so, but it’s a risk I’m willing to take in order to find new talent. Just two DJs off the top of my head like Joshua and Devstar are a great example of why I’m doing what I’m doing with the competition, because they’re amazing DJs. As you’re a Brummie, how do you rate the accents on Peaky Blinders? Who does the best Brummie accent in film or on TV? I haven’t even watched it. Everyone’s been telling me about it but I just haven’t had time to watch it. I will try to, but for now I can’t comment. The best Birmingham accent? Oh, God… you know I really don’t get much time to watch TV so I really wouldn’t know!